After more than 20 years as an educator, I have seen many strange and wonderful things. Like every other teacher I have experienced some incredible highs and some rather disappointing lows. Many of these major events have fallen from my memory, but I can honestly say that I will never forget the worst day of my teaching career: January 31, 2003. Katie was a typical twelve year-old. She was good student, popular among her classmates, and a developing talent on the basketball court (when I could keep her thoughts away from cheerleading). As a friend of her parents, I enjoyed spending time with Katie and her family at different events away from school. There was one memorable trip to a minor league baseball game where I had to explain (in vain) that she need not report to her classmates the number of Lutheran lemonades I had enjoyed (I wasn’t driving). She babysat my young son a few times and did a great job. As her principal, basketball coach, and classroom teacher, I was given the opportunity to spend a lot of time with her that year. I remember calling her by her proper name: Kathleen Elizabeth, but I don’t remember why I started doing so – I just found it funny. In a profession where you aren’t able to pick favorites, I can say that I thoroughly enjoyed the role I was playing in preparing her for a bright future. This changed on the evening of January 17. Katie passed out while at a party with her family and was unresponsive. She was transported to a local hospital and later flown to the University of Michigan Medical Center. I was on a youth retreat in Northern Michigan when I received the word from our pastor. I remember sitting up all night waiting for news; praying for healing and peace. By morning she had stabilized but was still unresponsive. I spent the rest of the weekend trying to serve the youth on the trip, but my mind was on Katie, her family, and on our school. I felt helpless. For the next several days I found myself working with many other people to meet the needs of a community of believers who were hurting. Many decisions were made. Many prayers were lifted. Tears were shed and hugs were shared. But as our church and school community rallied together, Katie’s condition never improved. Finally, after two weeks of fighting, on January 31, 2003 we received the news that God had taken Katie to her heavenly home. The days that followed were just as hectic. There were so many things that needed to be done, so many people coming together to offer comfort and help in any way possible. But in spite of everything I was doing to help, I continued to feel absolutely helpless. I didn’t know what to say. I couldn’t imagine the shock and pain my friends were experiencing. I felt as though everything I had done and everything that I was doing was meaningless. The funeral was a difficult day, but one that allowed everyone who knew Katie to mourn our loss while celebrating her victory. In his sermon, Pastor Kurt Lambart made a simple yet enlightening observation. He said that all of the homework, all of the tests, all of the grades didn’t mean a thing. What proved itself to be most important for Katie was the faith she had in her Lord Jesus Christ. It had been placed in her by the Holy Spirit, taught to her by her parents and supported through the work of Christian pastors and teachers. Because of this work, Katie went to the arms of her Father knowing full well that the destination was Heaven. It was at that moment that it dawned on me. I had been looking at it all wrong. My efforts had nothing to do with academic preparations or athletic achievements that would be unrealized. I had helped contribute to something far greater. and the single greatest accomplishment of my teaching career. This entry was posted in Devotional and tagged A Mile in My Schu's, Bible, Blessings, Christian Life, Christianity, Day 1 of 1, Devotion, Devotional, Devotionals, devotions, Faith, God, God's Love, God's Plan, Holy Spirit, Hope, Isaiah 55:10-11, Jesus Christ, Kathleen Elizabeth, Katie, Love, Lutheran Schools, Ministry, National Lutheran Schools Week, NLSW, Parenting, Parents, Path of Life, Religion, Richard Schumacher, Teaching, Worst Day Teaching. Bookmark the permalink. Thank you so Rich!! that means so much to Dave and I… You played a huge part in Katie’s life and for that we will always be greatful!! Awesome Rich. Well said. For you as a new principal it was baptism by fire. You and the entire staff handled it so well. Thank you Rich for sharing this beautiful post! 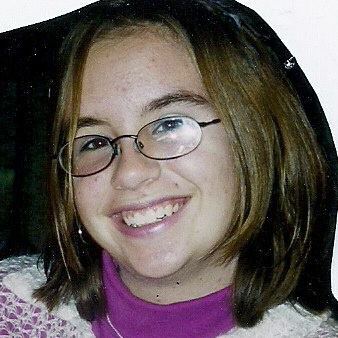 I have read Katie’s story before but bears repeating…again and again and again….until every child knows of God’s love and forgiveness…the greatest accomplishment for any Lutheran teacher. This is Beautiful! Katie touched so many lives in her sort time. Thank you Teri. She was a wonderful girl and I am thankful to have been blessed to be her teacher.